dubizzle Motors which is one of the leading online marketplaces for used cars in the UAE has just released its 2018 motors report. The report which details the key trends and insights gained as the outcome of analysis of over 210k used cars listed on dubizzle Motors indicates that demand for Japanese cars reigns supreme in the used car market in the UAE. The report showed that maximum enquiries from potential buyers were received for used car listings for sedans belonging to Japanese brands like the Toyota Camry, Toyota Corolla, Honda Accord and Nissan Altima. 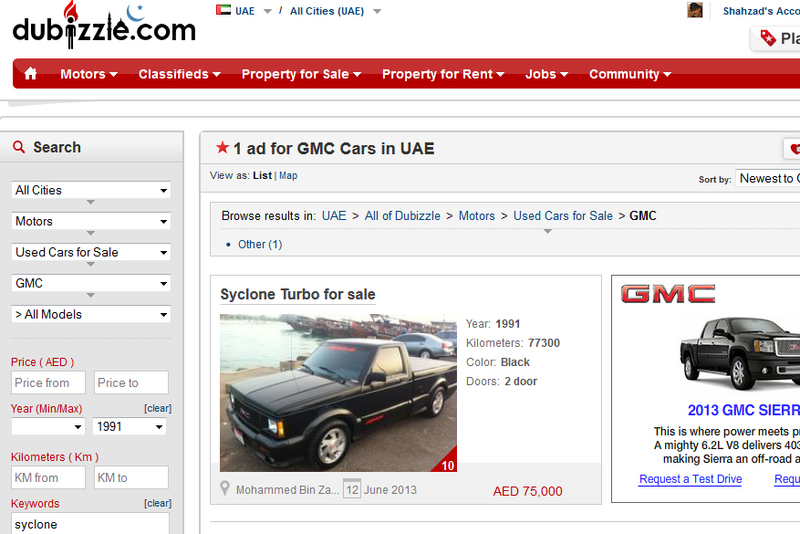 The most viewed model was the Toyota Camry, with the Camry recording over 1.18 million page views from dubizzle users. The Nissan Patrol came second with 1.15 million page views and was followed by the Toyota Land Cruiser (1.11million), the Mercedes-Benz S-Class (996k) and the Mercedes-Benz E-Class (956k). These five models were also amongst the top 10 listed cars in the year. Commenting on the statistics, Amr ElGabry, General Manager at dubizzle Motors said that while there was a clear demand for affordable SUVs in the previous years, the nature of the demand among potential buyers on dubizzle has become more diverse in 2018. The top 5 cars with the highest number of page views included sedans as well as SUVs and sedans and premium models are the toppers in the list, indicating that that there is more interest in premium used cars. When it comes to price distribution of used cars in the market, as many as 61 percent of the cars which were listed on dubizzle Motors in 2018 had an asking price that was less than AED 60,000, while 20 percent were listed for prices from AED 60,000 to AED 119,999 and 8 percent had a price tag between AED 120,000 and AED 179,999. The balance 11 percent of cars listed were over AED 180,000 and included the Mercedes Benz G-Class, S-Class, and the Land Rover Range Rover. The most expensive vehicle that was listed on the site was a Bugatti Chiron hypercar which was priced at AED 14.9 million. As part of the report, there was an analysis of the discrepancy between the listing price on dubizzle Motors and the actual selling price, based on prices provided by private sellers who had successfully sold their cars and removed their listings. This analysis revealed a potential margin of negotiation up to 13.6%. “The results of our latest poll identified that 68% of respondents are interested in purchasing a car in 2019, and 65% of those are likely to pay cash for a car. The margin of negotiation identified from last year’s transactions on dubizzle Motors empowers our users by providing a transparent view of the market, allowing buyers and sellers to get the best deal. This ultimately creates a healthy market dynamic while letting buyers walk away with their car of choice,” said Amr ElGabry, General Manager at dubizzle Motors. Dubizzle Motors is the top used cars marketplace in the UAE with over 1.6million unique buyers per month and 5.3 million monthly visits in 2018. There are over 32,000 live listings at any one time, as well as a number of extended tools and services to make transactions smooth.